Battery monitoring system that continuously monitors and diagnoses all critical battery parameters for large UPS systems. It can monitor up to 256 cells per string. It identifies potential problems by continuously monitoring parameters such as cell voltage, overall string voltage, current and temperature. Tracking and reporting allow proactive action in replacing a bad battery before it affects others in the string. Albér BDS-256XL battery monitoring system continuously monitors and diagnoses all critical battery parameters for large UPS systems. It can monitor up to 256 cell per string. It identifies potential problems by continuously monitoring parameters such as cell voltage, overall string voltage, current and temperature. Tracking and reporting allow proactive data center monitoring for replacing a bad battery before it affects others in the string. 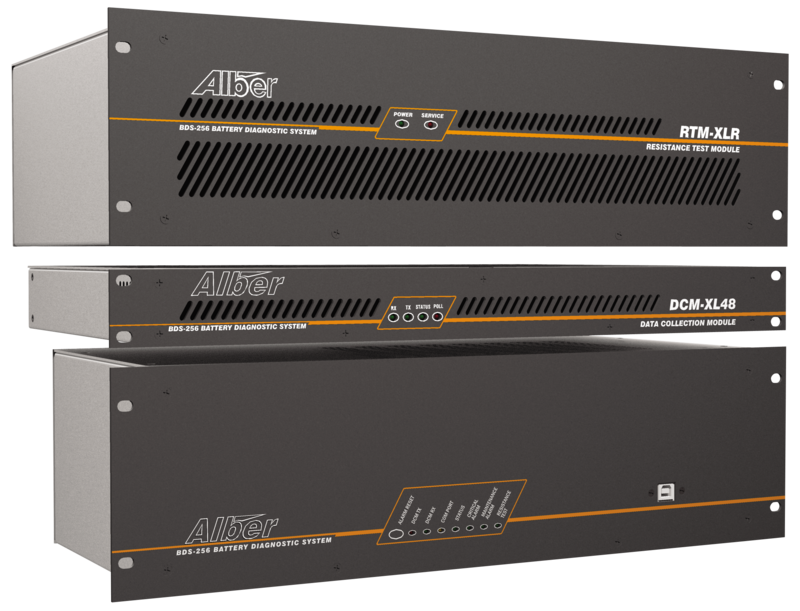 Albér BDS-256XL Battery Monitoring System monitors up to 256 cells/modules per string. 2 volt cells, NiCd cells, 4 volt, 6 volt, 8 volt, and 12 volt modules supported. Interface to the BDS-256XL via the Battery Monitor Data Manager software package. Battery Monitor Report Generator software creates reports from collected data. Modular design easily expands to monitor an unlimited number of strings. Industry standard MODBUS protocol interfaces to third party building management systems via RS-232 and Ethernet. Communicates with an external computer via R-S232 or remotely through internal modem. Can be used in conjunction with other Alber monitoring products to manage virtually all battery configurations with one software package. Large UPS systems with up to 256 cells per string.